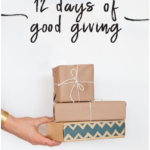 Check out the latest GoodBeing Box Coupon on My Subscription Addiction! GoodBeing Coupon – Free Uliv Facial Souffle With Subscription! GoodBeing Coupon – Free Clean Beauty Starter Kit With Subscription! GoodBeing Coupon – Free Total Wellness Package With Subscription! GoodBeing Coupon – Free Uniful Highlighter With Subscription! GoodBeing Coupon – Free Jivi Magnesium Body Butter With Subscription! GoodBeing Coupon – Free SkinOwl Illuminator Or Mychelle Wrinkle Spot Treatment With Subscription! GoodBeing Coupon – Free Wyld Konjac Sponge Duo With Subscription! GoodBeing Coupon – Free Rutz Naturals Hydrating Serum With Subscription! GoodBeing Coupon – Free Curandera Perfume With Subscription! GoodBeing Coupon – Free Necklace Or Clove + Hallow Lip Velvet With Subscription!